With football season kicking into gear, there is one thing on everyone’s mind and that’s tailgate time. 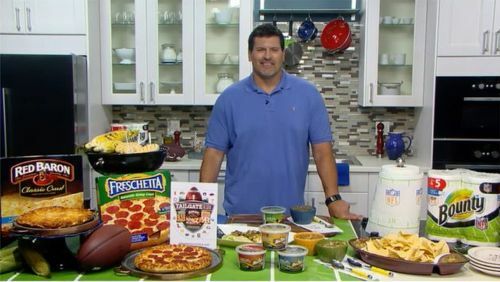 NFL Analyst, Mark Schlereth has a play by play for tailgate season with tips for the perfect tailgater. Staygate Pizza. 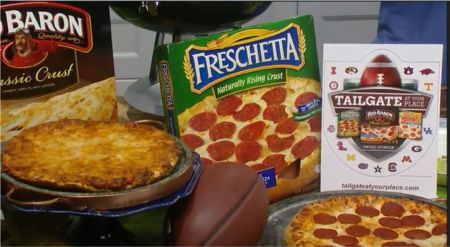 If you can’t go to the tailgate, you may need to create a staygate and Schwan’s has a selection of fantastic and flavorful pizzas. They’ve created a one stop for planning the perfect tailgater including entertainment ideas, recipes, games, contests and more at TailgateAtYourPlace.com. Over the course of the football season, they have over $150,000 in prizes and are giving away entertainment centers and even a brand new kitchen. 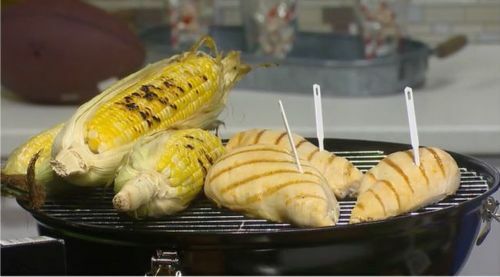 When you do grill at your tailgater you can take the guess work out of grilling with Cook’d Right Sesnors from Volk Enterprises. Just put them in your meat and it will tell you in ten seconds if your meat is properly cooked. 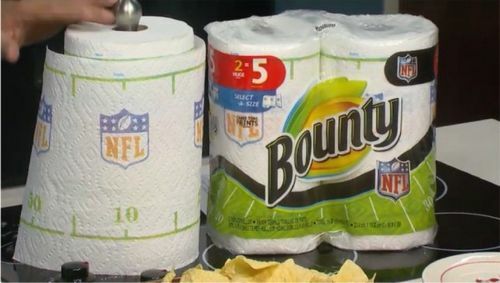 And at the end of the tailgater, it’s all about cleaning up the mess and Bounty’s NFL prints are perfect to clean up the spills after the game time thrills. The can tackle any mess and two times more absorbent than one-sheet brands. So have fun, football fans! Note: CMP Media Cafe produced in association with Gourvitz Communications. This entry was posted on September 16, 2014 at 6:02 am and is filed under Tailgating Tips. You can follow any responses to this entry through the RSS 2.0 feed. You can leave a response, or trackback from your own site.